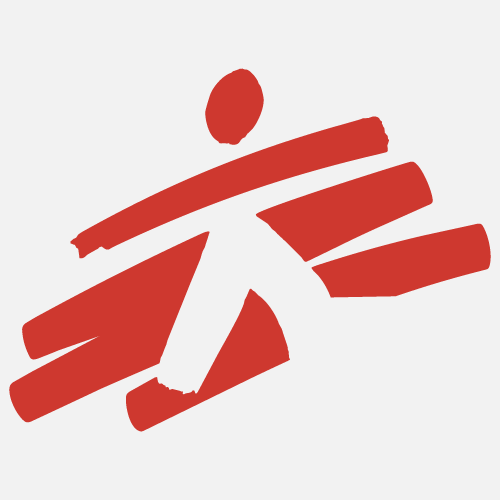 Doctors Without Borders/Médecins Sans Frontières (MSF) promotes a working environment free of harassment and abuse. Our leadership has unequivocally committed to fight abuse and to reinforce mechanisms and procedures to prevent and address it. This includes enhancing grievance channels at all levels of the organization and supporting victims and whistle-blowers. For us, this means not tolerating any behavior from our staff that exploits the vulnerability of others, or of employees taking advantage of their position for personal gain. We do not tolerate any physical or psychological abuse against individuals, sexual harassment, sexual relations with minors or any behaviour that does not respect human dignity. Procedures, including grievance and whistle-blowing mechanisms, have long been in place to encourage prevention, detection, reporting and management of all types of misbehaviour, harassment and abuse. Through these mechanisms, all staff members are encouraged to report inappropriate behaviour or abuse either through their management line or through specific reporting channels, using dedicated email addresses – and outside any hierarchical lines. Victims or witnesses in the communities where MSF works are likewise encouraged to report misconduct to us so that allegations can be properly addressed. A broad awareness campaign has been carried out at MSF for several years to inform all staff of the mechanisms available to them to report abuse. This information is shared through specific communications, including in printed staff manuals, and is conveyed in briefings, field visits and trainings. Specific awareness sessions are also regularly organized at field level. Moreover, e-briefings and learning modules related to behaviour and management of abuse are regularly updated and improved. MSF places specific importance in protecting victims and whistle-blowers. Our aim is to create an environment where they feel they can safely file complaints, without fearing for their safety, their job or their confidentiality. This requires consistent attention and dedicated resources, and always remains a work in progress. An inappropriate behaviour is one that has an immediate or potential impact on the health or well-being of those involved, on the security of our beneficiaries (patients and their caretakers) or our staff. MSF’s first priority when misbehaviour is reported is the safety and health of the potential victims and of the whistle-blower. Immediate attention is given to support the victim, which can include providing psychological and medical care, and securing legal support. In 2017, there were more than 40,000 staff members working for MSF in the field, and 146 grievance complaints or alerts from the field were registered at headquarters. This includes a large variety of alerts concerning abuse of power, discrimination, harassment and other forms of inappropriate behaviour. This figure does not include cases dealt with directly by field teams and not reported to headquarters. Of these alerts and complaints, 40 cases of abuse and/or harassment at the field level were identified after internal investigations, and documented at MSF headquarters. Of these 40 cases, 24 were cases of sexual harassment or abuse. Two of these were situations of sexual abuse or harassment by MSF staff against non-MSF staff (patients or members of the community). In total, out of the 24 cases of sexual harassment or abuse, 19 people were dismissed. The remaining staff members were sanctioned in other ways, such as through warnings or suspensions. The reasons for underreporting are probably similar to those found in society at large, including the fear of not being believed, prevailing stigma and possible reprisals. This is all the more acute in many crisis settings where MSF operates, such as conflict areas, where there is often a general lack of protection mechanisms for victims, a high level of generalized violence and impunity, and where populations may be highly dependent on external assistance. The size, turnover and diversity of our staff require a continued effort to inform and create awareness about MSF’s policies on harassment and abuse, as well as all mechanisms available for reporting any abuse or harassment. Our key priority is to reinforce our reporting mechanisms and work to ensure that everyone — from headquarters visitors to community members and patients — is aware of these processes and how to access them, and to protect victims and whistle-blowers at all times.